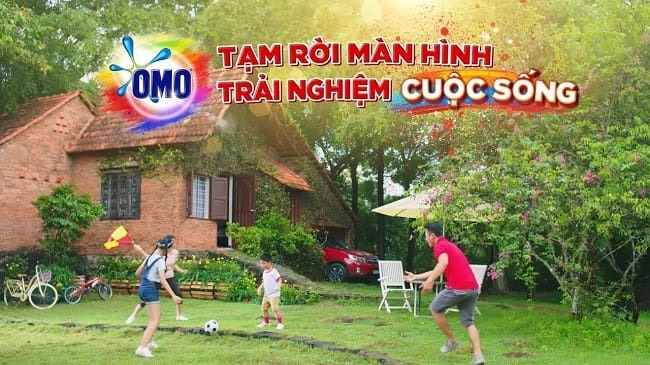 Include in top laundry detergents, Omo brand seems to be a generally trust laundry detergent brand. 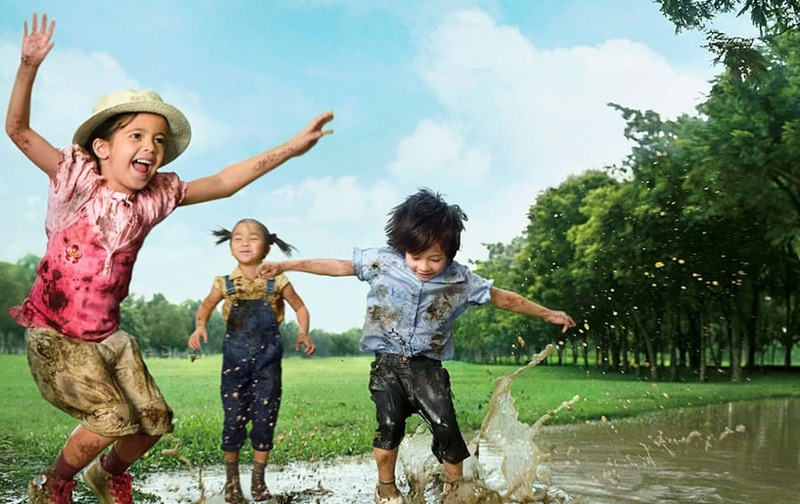 Its product range is suitable for all washing machine types, and Omo professional powder laundry detergent 9kg apparently embraces the fact that kids should be out and about playing in the dirt, so it’s determine to impress parents with its stain-busting credentials. It sounds strange with the leading brand of the laundry line, but behind that philosophy is a story. Omo believes that children should be free to explore, learn and grow. And dirt is an integral part of this process. Not afraid to dirty, children are new to be able to learn good things, creative freedom and even strengthen the immune system. In an age where more and more children become passive, overbearing in their own homes, glued to TVs and computers. So, we do not hesitate to support them. Omo is globally known as Persil, Skip, Ala, Wisk, Surf and Rinso. Due to, Omo’s superior laundry technology makes every family rest assured that it is absolutely free to explore and dirt, stubborn stains are available. First of all, Omo gentle on skin powder laundry detergent. Omo gentle on skin erases stains faster with pH-adjustment formula. Which is suitable for sensitive skin like baby skin, tested and certified by the National Dermatology Hospital. New Omo with energetically swirling particles is presently improved with ultra-fast washing technology. Dissolving, penetrating into the fabric fibers and swirling stubborn stain faster. Comfort’s light smell fragrances. 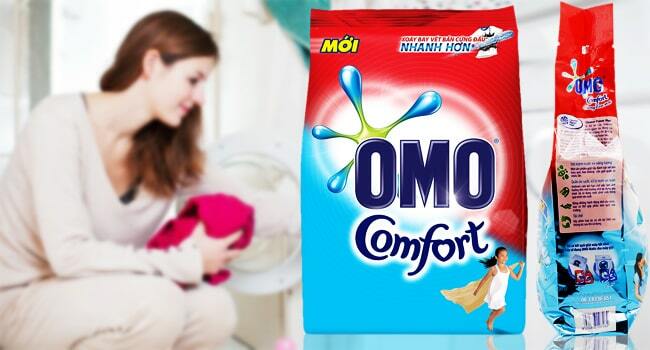 New Omo comfort combines the power of removal stains and the seductive scent of Comfort will keep the clothes fragrant for a long time. Apart from this, friendly with the environment. Omo brand washing powder uses only high quality ingredients that meets stringently international standards for biodegradability and safe. Omo matic front load powder laundry detergent. It has the same characteristics as omo matic top load powder laundry detergent. But this product is designed for the front door. Omo matic plus comfort powder laundry detergent. Being equip a formula that clears stains quickly just one-time-wash. Comfort’s fragrances keeps your clothes smelling fresh for a long time, you can stay relaxed throughout the day. The laundry detergent formulate with little foam to protect your family’s washing machine. Omo plus comfort uses innovative technology and energetically swirling particles that are further enhance with a fast clean-up technology. Which helps to remove stains faster, in just one wash. Omo Matic with comfort exquisite scent, a breakthrough formula from the 3 active ingredients to remove stains in the laundry cage without having to soak or crumble for a long time. Combination of 3 benefits: whitening, brighten and remove stains completely. Omo plus comfort magic attar powder laundry detergent. Furthermore Omo clears away stubborn stains fast, with drops of natural essential oils, for comforter. Energetically swirling particles dissolve, penetrate quickly into the fabric. It can rubs out hard stubborn dirt in a single wash. New Omo with vortex energy particles, now improved with ultra-fast wash technology. Omo gentles with hands that has been tested and certified by the National Dermatology Hospital. Help your child explore and grow. Omo plus comfort subtle attar powder laundry detergent. This laundry not only does a new formula that clears stains quickly just one-time-wash. But it also keeps the Comfort’s fragrance for long time. Energetically swirling particles dissolve, penetrate quickly into the fabric, it can rubs out hard stubborn dirt in a single wash. Omo brand washing powder uses only high quality ingredients that meets stringently international standards for biodegradability and safe. Omo matic top load powder laundry detergent. Fast-drying technology helps to remove many types of stains faster than before just by one-time-wash. Comfort’s fragrances help keep your clothes smelling fresh for a long time and make you comfortable throughout the day. Probably the product is designed specifically for the top door washer. Unique cleaning formula, omo matic uses new technology and has energetically swirling particles. Which are further enhance with a fast clean-up technology, help to remove stains faster, in just one wash. The more quickly laundry absorbs into each fabric, the faster it beats the dry stains. Omo regular powder laundry detergent. The Omo regular is formulate for new strength to clean all dirt in the tub, easily to dissolve. As a result, it’s quickly crept into each fabric without leaving any residue such as common laundry detergent, helps white clothes to a certain degree after each use. 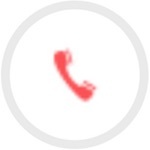 To choose the best option, refer to new Omo. Then many types of dry stains will be removed in just one-time wash. Long lasting fragrancy. The product is a unique combination of white washing technology, color retention and natural fragrance, you always confidently clean, beautiful and cool every day. Additionally, the product is a unique combination of white washing technology, color retention and natural fragrance. Then you always confidently clean, beautiful and cool every day. From the Omo ultimate stain-busting pre treaters to dermatologically tested detergents. 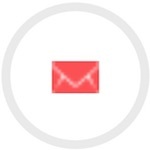 There is a wide variety of products to choose from. As Omo considers learning through messy play an essential part of child’s development, it aims to provide a laundry detergent that is strong enough to get rid of stains in one dose. If you have messy kids or a clumsy spouse, Omo may be a brand to consider. Going by the space it takes up on supermarkets shelves, it must be doing something right.